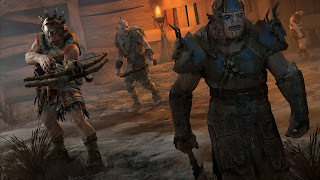 The sequel to Shadow of Mordor, Middle-Earth: Shadow of War looks to continue where it left off and add many improvements along the way, however can the game still do well the second time around? 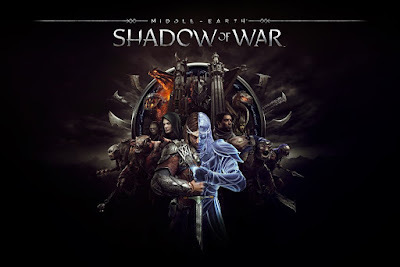 As mentioned earlier the game is a direct continuation of the last and you may be thinking that you have to have played Shadow of Mordor in order to enjoy this one also. Luckily there is a recap at the beginning of the game that will bring you up to speed on the main details, so you have somewhat of an understanding as to what is happening. While you won't be finding any super engaging plot going on here, I guess it helps to give purpose as to why Talion is popping off so many Orc heads, however its not something you really need to pay attention to in order to enjoy the game, but would have greatly aided it if given as much attention as the gameplay got. 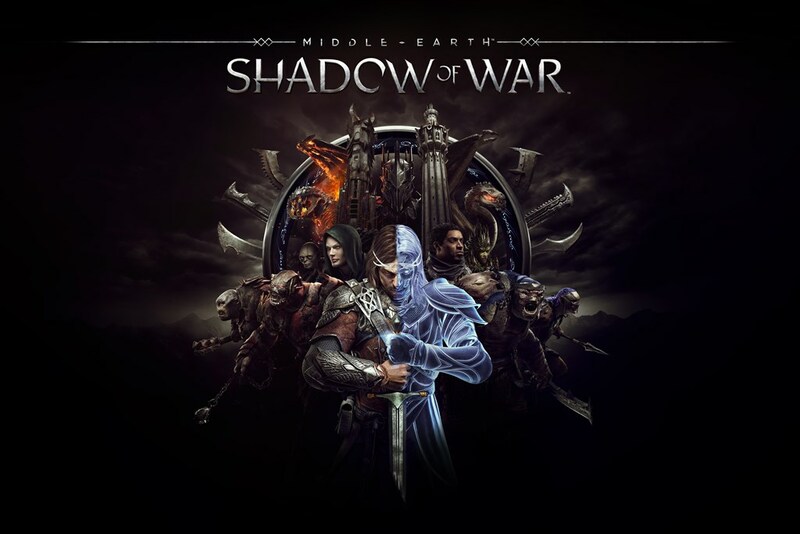 Now I'll admit that I haven't played the previous game and even in terms of Lord of the Rings lore, I'm probably the worst person to ask about it, however despite this I did enjoy playing through Shadow of War not necessarily for its story, but how it handles its gameplay and most importantly, the colourful characters you may come across. The game includes many regions you can visit, each with a huge number of quests you can undertake including side quests to complete. Maps are incredibly large and can take a little while to cross, especially if your objective lies on the other side. Luckily there are fast travel points you can unlock by taking over specific towers in the game or what I found myself doing is using Talion's abilities to make the trip. It feels smooth as he free runs across the map going from ledges on to buildings and thanks to his abilities, he moves relatively quick although I found myself at some points grabbing on to parts of the environment I didn't want to, it does show there is still room for improvement there. If there is one thing I really enjoyed doing when playing Middle-Earth: Shadow of War is hunting down the captains to defeat them, shame them or recruit them for my own army. I feel that not only the captains, but high level enemies in general have had quite a lot of personality put into them and the fact that there are so many ways to go about it was an absolute joy. For example, each captain is initially hidden until you either encounter them in the world or interrogate a worm (coward) for info on them. Defeating a captain will earn you loot, however the real challenge is sending that same worm along with a death threat. Not only do they remember it when you encounter them, but some of them will actually decide to come after you instead and ambush you when you least expect it. 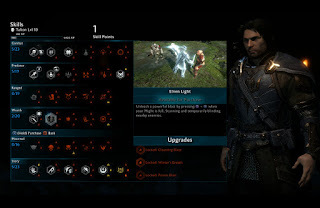 This is all thanks to the Nemesis system which was brought over from the previous game and further expanded to make use of the new mechanics in Shadow of War such as Talion's own army. This system also promotes orcs for completing certain actions; for example if a low level orc happens to kill you, they will be promoted to Captain status. Combat is relatively smooth and easy to perform where one button handles the attack and the other for counters when prompted. You can also stun enemies and use your Elven ablities to really turn the battle in your favour such as causing a huge explosion which burns anything nearby. 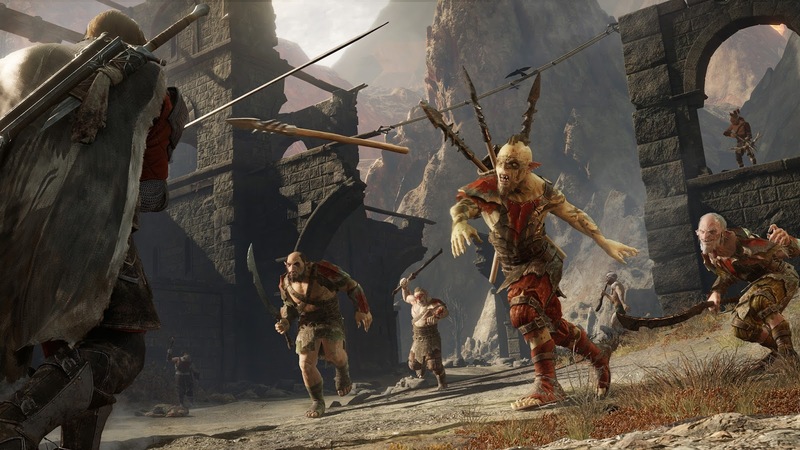 Of course as I found you can easily be swarmed by enemies of different level types, so its always handy to know that Talion has such great mobility that you can use to make a quick escape when health is low. This is furthered by the fact that enemies at certain levels can adapt to your style causing you to have to come up with a new way to attack them. I can't count the amount of times I thought I could just spam my dagger throw in which after five turns I found the enemy captain completely aware of it and dodging it with ease, adding just another point of challenge to the game. Of course should the opportunity arise, you can drain health from an enemy or random rats that you may catch around. Another aspect of the gameplay is the skill tree which is quite robust. The skill tree has dozens of unlockable abilities, each with 3 or more upgrades attached to it making it quite flexible to use. Luckily, levelling up is not a chore, so you always have something new available to experiment with once you gain a skill point to unlock it. Recruitment is quite an important factor as this leads into another big piece of the gameplay which is capturing fortresses. Once taken over these allow you to control the region itself and can be very useful when you aren't looking for random Orcs to be attacking you. With each siege, you can select up to six high level recruits to help lead the charge and capture victory points. Capture them all and it will be time to face the Commander and fully take over. Once the fortress is yours, you can assign guards to protect it, not only against invasions in the game, but from those online as well. With the initial fortress you get much stronger help with (mainly thanks to Bruz) the rest will need better planning to actually conquer. I remember trying to capture Khargukor with a smaller force and got absolutely destroyed, This can lead to members of your force being swayed on the other side and inevitably being killed. While the story in Shadow of War isn't the most easy to follow, its clear that the aspect of the game that Monolith put the most time and effort into is the gameplay. 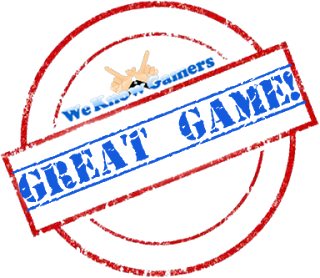 From the expanded Nemesis system to the skill tree and laying siege to fortress', the game has a lot going for it. I loved how the enemies at certain levels where given so much personality, some of which really took me back as I didn't expect to hear certain lines come from them showcasing the range you may come across. If Monolith ever release another game in this series and manage to keep the amazing gameplay from Shadow of War, while making a coherent and enjoyable story, I think we'll have a huge hit on our hands.